There are lots of things that will make a bride feel fantastic on her wedding day and the right bridal hairstyle is one of them. Making the right choice of hairstyle is crucial so if you’re trying to decide how to wear your hair check out our quick guide to wedding hair. 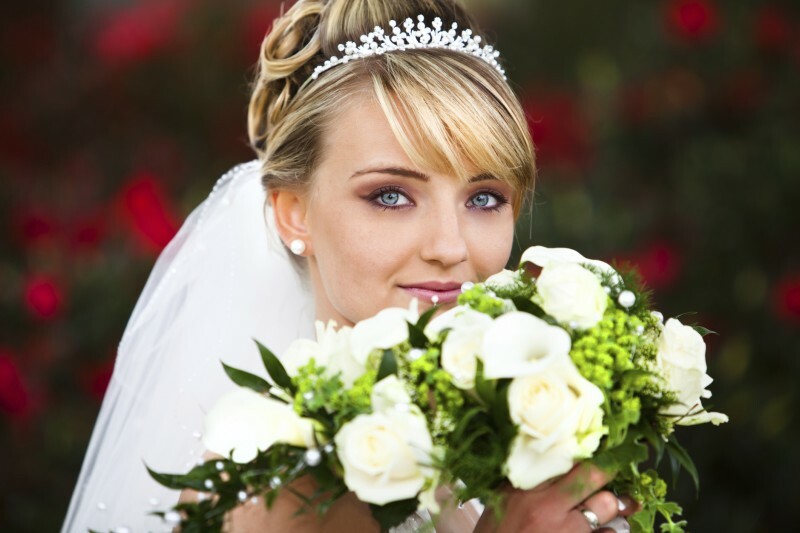 Book your hairstylist around six months prior to your wedding to make sure you have the one you want, and to give yourself time for a test run. If you are thinking of having a complete change of hair colour, do it at least six weeks before the wedding so that you can decide whether it suits you or not and you can always have the roots touched up a few days prior to the big day. If you usually dye your hair, or have lowlights, try to have them done a few days before the wedding so it is still looks fresh and roots don’t have time to grow. 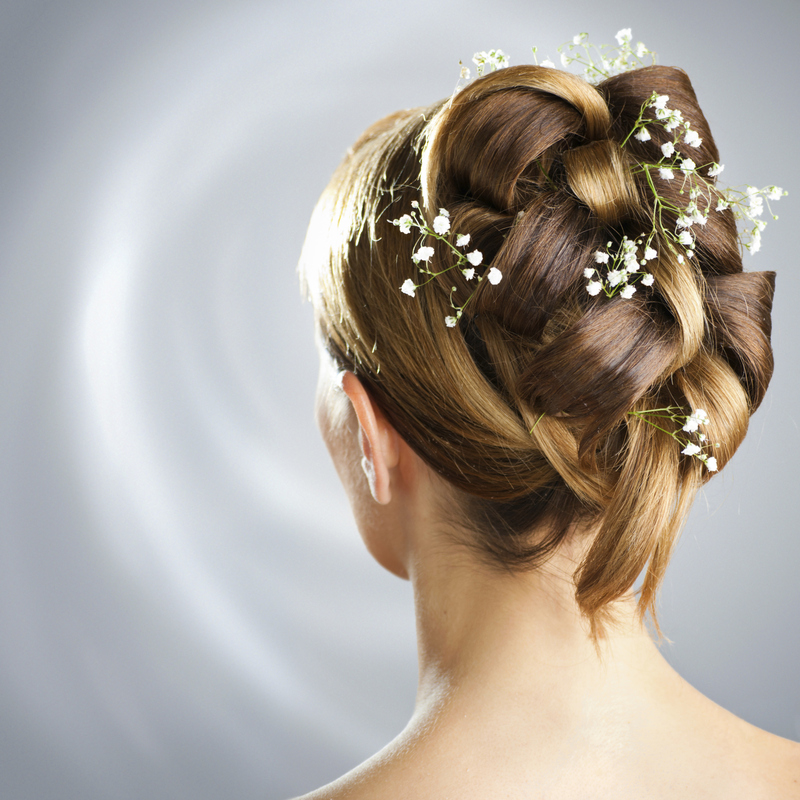 For a contemporary wedding, you’ll want a modern up do. A current trend is to create two or three small ponytails beginning at the crown and going down the back of the head. The ponytails and then the rest of the hair can be wrapped around and pinned in place producing structured curls with sharp ends for a truly progressive look. For a traditional wedding you will probably choose to have a classic bridal hairstyle. A low slung bun, dressed up with jewels or flowers is a fashionable choice. Keep the hair pulled tight to the head, and wear the bun with a slanted fringe that falls diagonally across your forehead, tucked in behind your ear. Gentle curls pulled out in front of the ear can make the look even more feminine. Modern hair corsages, both real and fabric ones, are a key trend of the season. Wear yours at the side of a bun or chignon, or behind your ear if you are wearing your hair loose with waves. Fix your corsage in place with enough clips so you don’t have to worry about it coming loose. Narrow Alice bands are a simple way to achieve a sleek minimalist style, and jewelled accessories, such as tiaras and ornate combs work with a wide variety of hairstyles, and can add the glitz factor to your wedding hair do. If you’re wearing a veil ask your stylist to attach it, for you, and if you want to be able to remove it after the ceremony, make sure you let them know. For a traditional long veil, your hairstyle will need to be able to withstand a little weight. The veil should be pinned to your head at the crown if you are wearing your hair loose, or can be attached underneath an up-do to avoid messing up the style. A shorter, elbow length veil will be a lot lighter, and won’t interfere with your style. These tend to look best with short hair or an up do.